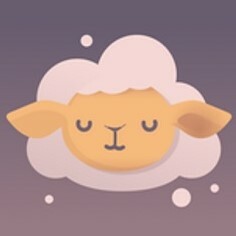 March was National Sleep Awareness Month, so I decided to dive into a sleep coaching app that could help me get a better night’s sleep. 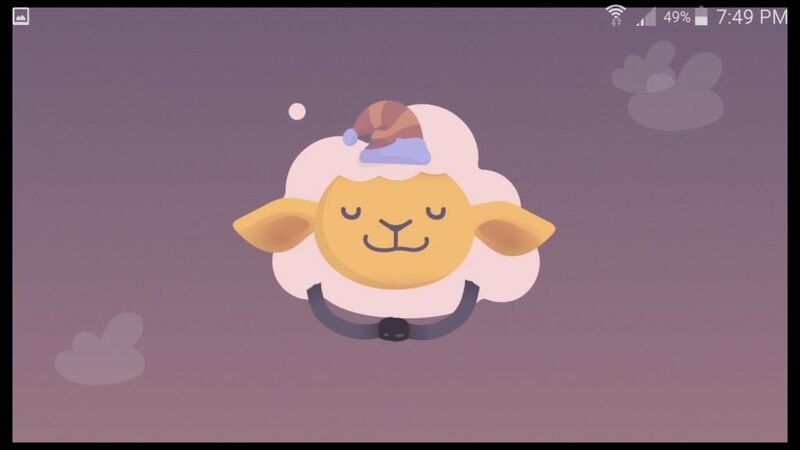 The app, called Shleep, is a personalized sleep assistant that will help each user focus on their individual sleep needs, and learn to improve their quality of sleep and their bedtime habits. 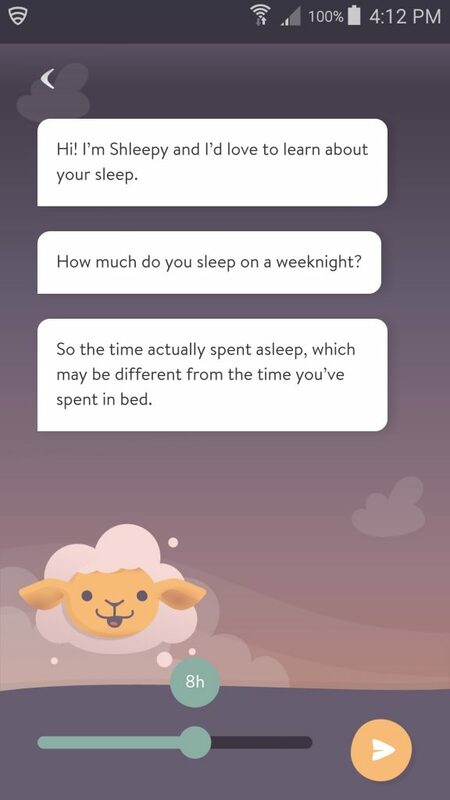 Through text and video lessons, each sleep training program will take you step-by-step through your snooze improvement process. If you need further assistance, you can even contact their sleep experts directly, to get some one-on-one guidance. Sleep, or the thereof, plays a big part in your health, happiness, and productivity, both at work and in your daily life. We’ve all noticed how less sleep, or a fitful night, can play havoc in our lives, making us irritable, sluggish, and mentally unfocused. The mental strain of fatigue can increase our risk of getting into a car accident, lower our immunity, and decrease out ability for critical problem solving. There are even some studies that claim long-term health risks of not getting enough high-quality sleep, like depression, anxiety disorders, and even increased risk factors for heart disease, stroke, diabetes, and cancer. Not too surprisingly in our modern, fast-paced world, and increasing percentage of people get less than the recommended hours of sleep each night, and many experience insomnia on a regular basis. 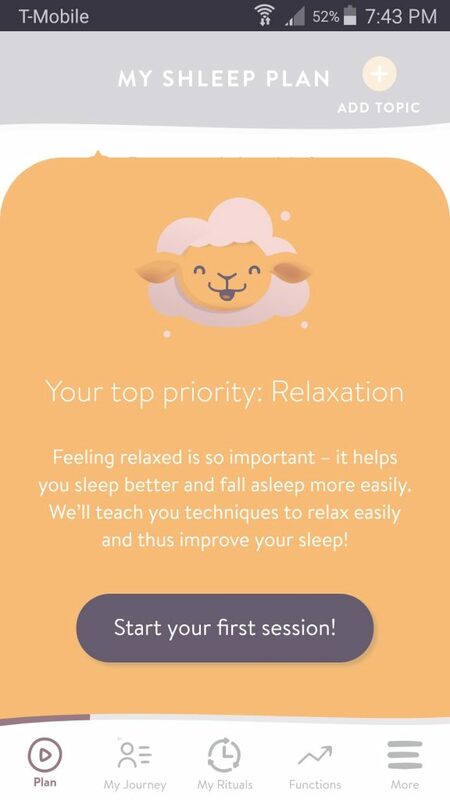 By giving you helpful tips, and easy to understand guidance, the Shleep app can help you develop better bedtime skills so you can improve the quality and duration of your sleep, and protect yourself and your health for the future. 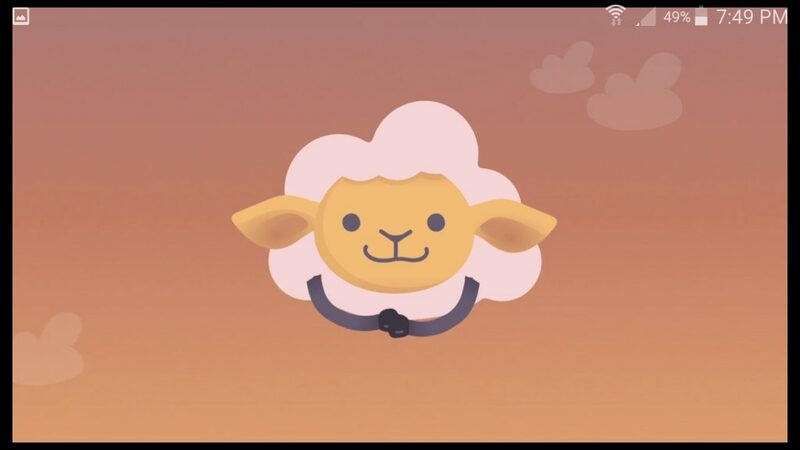 The first time you log into Shleep, it will collect a baseline for the quality of your sleep, and the healthfulness of your bedtime habits, based on a short questionnaire. Then, it will recommend one of their 6 lesson programs for you, based on your current needs. A few of these programs are Relaxation, Falling and Staying Asleep, and Sleep and Technology. Each program will be filled with 10 informational lessons, comprised of text and videos from the founder, Dr. Els van der Helm. She has spent a decade researching sleep, at prestigious institutions like Harvard Medical School, and UC Berkeley, from where she holds a PhD in Psychology. These video lessons will include facts about sleep, reasons why your sleep may be less than ideal, and exercises for you to do to improve your night’s rest. 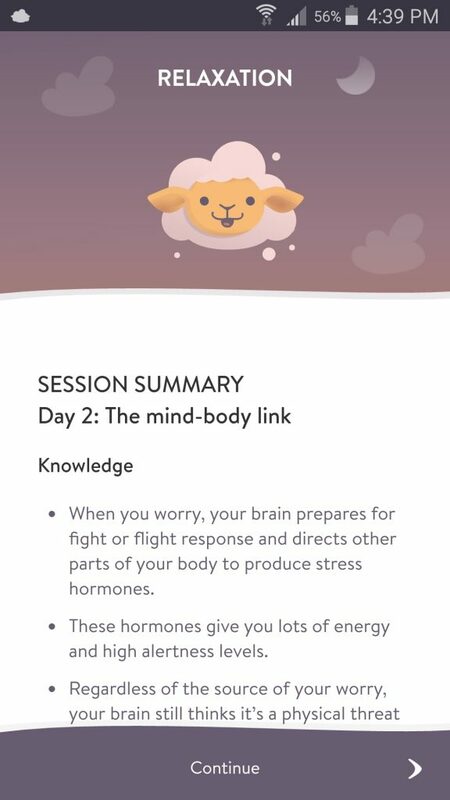 At the end of each lesson in the program, you’ll get a synopsis of what you just learned, and a little congratulatory image from the adorable Shleep mascot sheep. You can move through the lessons at your own pace, and return to each previous lesson as needed. After finishing one full program, you can choose another to work through, until you’ve progressed through all 6. 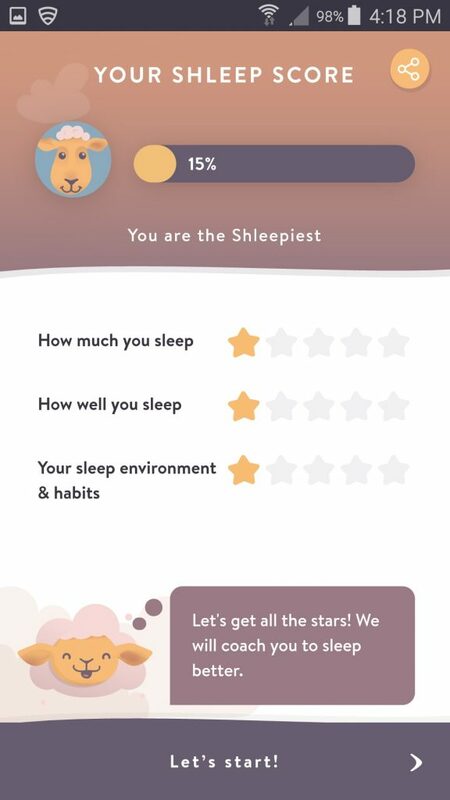 Shleep is free to download and try out, and you’ll be able to take the questionnaire, get your personalized sleep score, and be able to work through the first 3 lessons in your initial recommended program. If you want to get deeper into the tutorials, and have access to the sleep experts, you’ll need to sign up for one of their monthly, yearly, or lifelong subscriptions. The month-to-month plan is $12.29 (€9.99), but if you commit to a year, it works out to $7.20 (€5.85) per month, or you can go all out and get full access forever, for a one-time payment of $405.92 (€329.99). I’d say the year plan is the best option, as I think you’ll be able to get all the benefits of your new sleep training accomplished in that time. Sleep is so important to our health and happiness, and with everything going on in our lives it’s easy to ignore our need for a restful night. 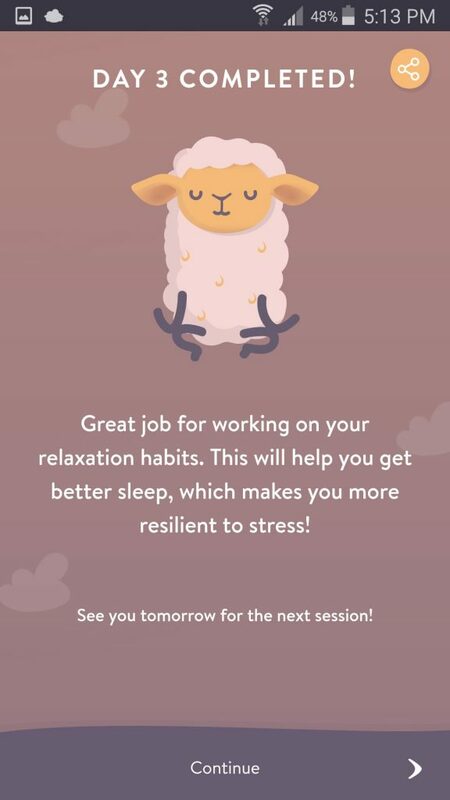 If you ever find yourself waking up tired, or getting fatigued half way through your day, you would benefit from a few lessons with the Shleep app. Download it today on Google Play or Apple App Store.